Get ready to Kick off & Jumpstart the Holiday Season! Enjoy our Biggest Online Shopping Extravaganza of the Year! 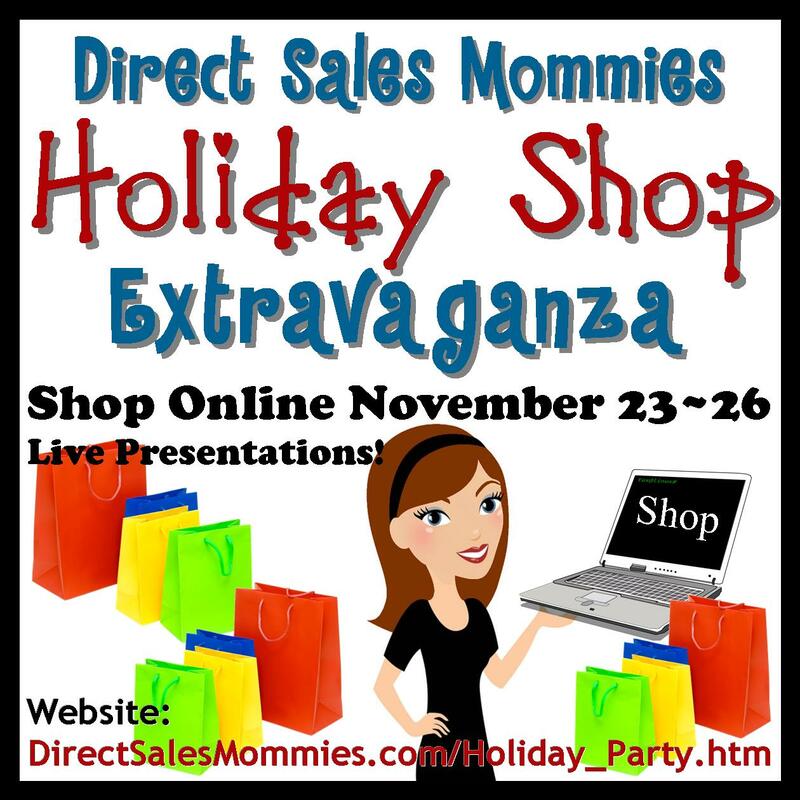 Direct Sales Mommies is having a Holiday Shopping Extravaganza for all you online shoppers. Presentations from vendors will be from 12 PM CST to 10 PM CST. Each vendor will be offering specials and there will be PRIZES given away! The Holidays are in full swing, but there are no shopping days quite like Black Friday and Cyber Monday! Why spend many hours and gallons of gas driving around trying to find that perfect gift? Then once you find that perfect gift you have to stand in line for what seems an eternity! Stay home and shop in your pajamas with our WAHMS (Work at Home Moms). Get all your shopping done in one place. We’re going all out for this event and hosting it all weekend long! Shopping, Specials and Fun & Games for 4 days! If you haven’t joined an online shopping event before, this is a great time to be had by all! If you are interested in sharing your business in our Holiday Extravaganza please go here. Please contact me for latest Specials and Promotions!! Velata Special till the end of December!! And get a FREE Velata 3 pack of Premium Chocolates! Thirty One Gifts for every $31 you spend, get a Holiday “Holi-buy” for only $5. Choose from a mini utility bin, thermal tote, cinch sac, timeless wristlet or timeless beauty bag. I have a party set up called Direct Sales Mommies @ www.mythirtyone.com/kmamo. The order will go in on Tuesday, November 27. If you would like to place your order before the 27th you will have to send it to me @ kmamo31@gmail.com or you can place it at www.mythirtyone.com/kmamo but the prices will not reflect until Tuesday. Flash Sale for our Happy Birthday to the King 10 pc collection reg. $98 for only $29 plus when you spend $40 or more you can choose our Bright and Beautiful Christmas Tray, reg. $62 for just $22. Please click on the link of our sponsors to visit their websites.